The streets of Oxford are rife with mystery and intrigue, and for four nights only the Michael Pilch Theatre will be the epicentre of the action. 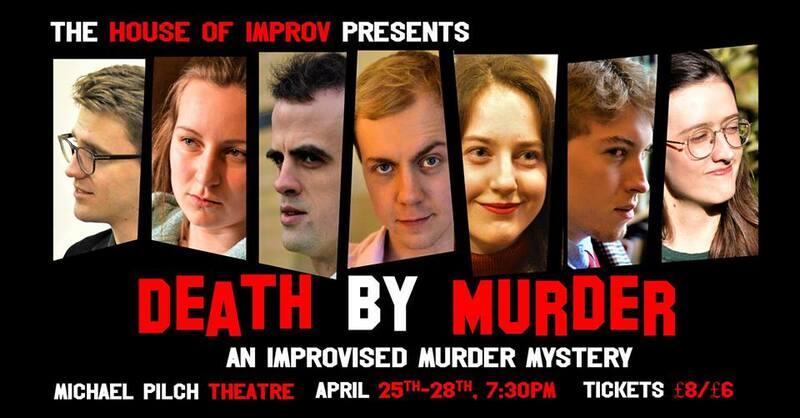 Join The House of Improv in their debut production where they will craft a thrilling and hilarious murder mystery story on the spot. You, the audience, provide us with the characters and the location - and most importantly, have to work out which one of us is the killer. Who will be murdered? Who will be the killer? Literally what will happen in this show? It’s all a mystery until the night, but one thing’s for sure - someone will die, and it’s going to be hilarious.